Many people suffer from foot deformities. These not only cause symptoms in the feet, but they can also lead to problems in the hips, back or knees. The foundations for this are often laid in childhood. 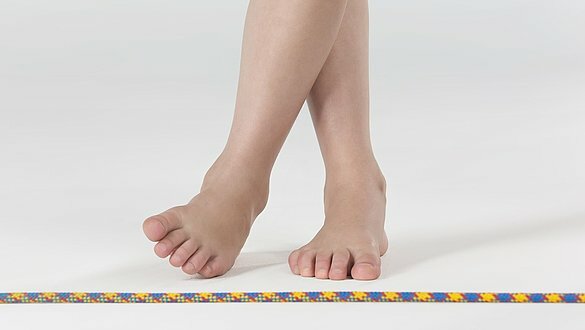 Our feet take about 5,000 steps every day on average. They have a very complex construction to enable them to do this. Numerous bones, joints, muscles, ligaments and tendons guarantee perfect function – as long as our feet are healthy. In flat foot – fallen arches, the foot’s longitudinal arch is flattened. If left untreated, flat foot can develop into pes transversovalgus. Besides congenital deformities, weak ligaments and muscles are primarily responsible for this clinical picture. Even if there are no symptoms at first, higher loads can lead to pain in the sole of the foot as well as problems in the knee, back or intervertebral discs. Many infants have skewfoot deformity, in one or both feet. The forefoot is turned inwards compared with the hindfoot, so that the foot is bent like the blade of a sickle. * In most cases, the skewfoot corrects itself. If therapy becomes necessary, it is advisable to correct the position of the foot. Claw foot is the opposite of flat foot. In this case, the inside and outside longitudinal arches are considerably more prominent, which leads to overloading of the forefoot and heel. Pressure zones, calluses and so-called claw toes (pathological hyperextension at the metatarsophalangeal joint and hyperflexion in the two interphalangeal joints) may develop. A claw foot can be hereditary or it can develop following paralysis or nerve damage in the muscles of the feet. Pes transversovalgus is a congenital or acquired foot deformity that is also known colloquially as "flat foot". Obesity, overstrain in sports and poorly trained muscles of the feet favour the onset of pes transversovalgus. This is a combination of deformities that occur together: the calf and the heel no longer form a straight line. Fatigued muscles and tendons can no longer hold the arch of the foot in its original position. The foot rotates inward (pes valgus). In flat foot, the middle part of the foot drops, so that the inner side of the foot is lower than it is when in the correct foot position. If the ball of the foot is wider, we call this splayfoot. Since the shock-absorbing functions of the arch of the foot are absent, symptoms are possible in the calves, knees, thighs, hips or the back. Pes transversovalgus can no longer be corrected in adults, but the provision of insoles provides the necessary soft footbed, relieves stress on the forefoot and lifts the arch of the foot again. If the front transverse arch of the foot has sunk, this is called splay foot. This means that the main load presses here when walking and leads to pain in the balls of the feet and the toes. Pressure areas or calluses are a typical feature of this. Weak muscles and ligaments, standing for long periods of time, heavy lifting, obesity and shoes that are too tight or too high favour splayfoot. A heel spur is a usually painful disorder of the heel bone in the region of the tendon origins. 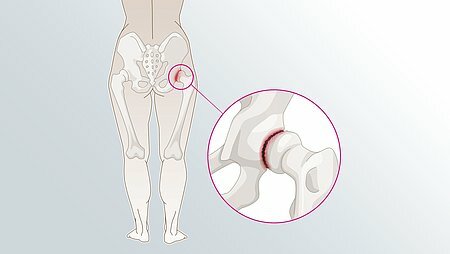 In many cases, there is bony deposition that favours inflammation. If a heel spur is left untreated, normal walking is only possible under great pain. The causes include the wrong footwear, obesity, excessive loading during sports or long periods of standing. If the big toe is stiff and painful, experts talk about hallux rigidus – an arthrotic condition caused by wear and tear. This makes rollover more difficult when walking, which can lead to a complete stiffening of the joint and painful bone proliferation. The disorder can be inherited or caused by injuries and harmful stresses. Hallux valgus is also known as a bunion. Hallux valgus is a malalignment of the forefoot: the first metatarsal bone deviates outwards towards the outside of the foot. This widens the area around the ball of the foot (splayfoot). However, the tendon is too short for this and pulls the big toe to the side. This then points towards the small toes. See also: Treatment with insoles. An informative guide from eurocom e.V., page 19 et seq. Preventing foot deformities in childhood is better than correction of foot deformities. Walking barefoot is the single most important preventive measure. ***Foot exercises are also very suitable for strengthening the muscles and increasing mobility. The choice of the right shoes is also enormously important. According to a study conducted in Germany by Tübingen University, two out of three children wear shoes that are too small for them. Shoes that are too small can cause deformities with lifelong consequences. A light shoe with a flexible sole for dynamic rollover is the best choice. It is also important to have a large enough space between the shoe and the toes. 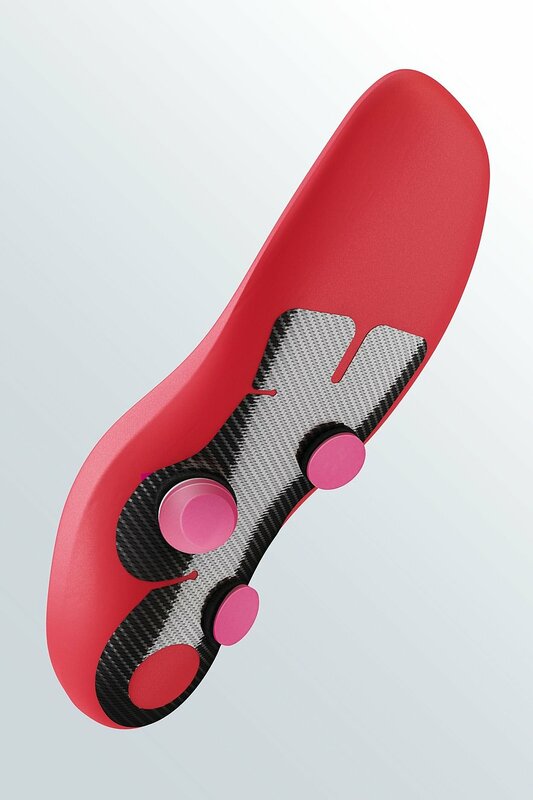 If a foot deformity has to be corrected orthopaedically, the igli carbon insoles from medi are a good choice. These are highly specialised orthopaedic medical devices that have been developed in collaboration with doctors and physiotherapists. The flexible insoles support every movement and can activate the muscles of the foot. This helps optimise sequences of movements and the body's posture. Providing children with orthopaedic medical devices poses a particular challenge. The individual needs must be successfully fulfilled. The medical device should have the best possible effect, but at the same time hinder the child as little as possible in its everyday life. It is important that insoles fit well and are securely seated in the shoe when children are playing and romping around. The special medi insoles igli Junior Orange and igli Junior Blue C+ embed the foot, support the muscles of the feet during the rollover phase and stabilise the arch of the foot. By doing this, they can correct deformities during the growth phase. Visit your surgical appliance supplier for in-depth advice. Your orthopaedic shoe technologist will fit the insole individually. Providing children with orthopaedic medical devices presents a particular challenge. The individual needs must be successfully fulfilled. The medical device should have the best possible effect, but at the same time hinder the child as little as possible in its everyday life. It is important that insoles fit well and are securely seated in the shoe when children are playing and romping around. Click here for medi's orthopaedic insoles.